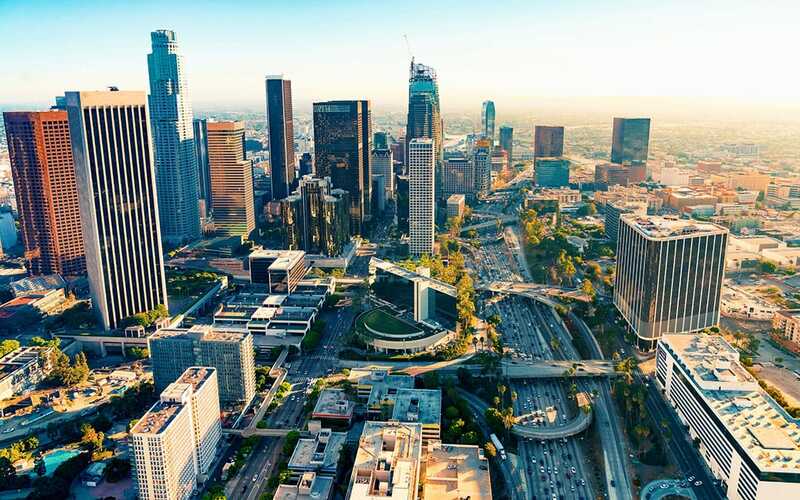 Los Angeles is known for many things, one of those things being its sky-high cost of living. With perfect weather year round, proximity to the beach, and amenities, galore, it’s no surprise that it’s one of most expensive cities. Compared to the U.S. average of 100, Los Angeles comes in at a 195.1 in terms of cost of living. Housing is the biggest driver, but other expenses such as transportation and utilities are also more expensive. Another pricey expense in LA is utilities. A 480 square foot studio apartment costs around $104 in utilities each month. The monthly utility bill for a 915 square foot apartment averages around $167. On top of heating, cooling, and electrical costs, Los Angelenos typically pay around $48 a month for internet and a similar price for cable. Though less expensive than cities like New York, utility costs can make up a good percentage of your paycheck, especially if you’re making an average salary. The good news is that there are plenty of ways to lower utility costs so that your money goes even further. Here’s how you can spend less on your monthly heating, electrical, and internet costs. Not all internet providers are the same. Some offer better package deals than others. Some offer faster speeds at lower prices. If you’re looking for the best internet providers in Los Angeles, the best thing to do is to read online reviews. From there you can determine which provider best meets your needs. But, if you find a lower price from another internet provider, it never hurts to ask about price matching. Another option is to look for providers that offer various services. Many internet providers also offer cable and/or phone services. By bundling these services under the same provider, you’re more likely to get a discount. We’re all guilty of plugging in an appliance, only to leave it plugged in forever. But, leaving unused devices plugged in does cause a phantom charge, which does impact your monthly utility bill. When you aren’t using an appliance, do your best to remember to turn it off. This way you can eliminate phantom charges and have the assurance that you aren’t paying for items that you aren’t using. This reduction in use on the large scale could reduce or eliminate rolling blackouts in L.A.
It’s not easy to remember to unplug devices. It can be even harder to turn off those that are mounted on a wall. To make it much easier to unplug devices when they aren’t being used, invest in a timer strip. These power strips can be put on a set time schedule to turn off at 10 PM each night or whatever time is ideal for you. The strips are able to turn off all connected devices, which means less remembering on your part! You can also invest in a simple power strip. Instead of having to unplug multiple devices, you can turn devices off and off with the flip of a switch. This makes it much more convenient to eliminate phantom charges on many devices at once. For every Energy Star appliance in your home, you can expect to save around $100 a year. National Resource Defense Council (NRDC), energy efficient appliances have saved homeowners in the U.S. more than $200 billion, or $2000 per household. Does your home really need to be 68 degrees when you’re not at home? Since Los Angeles can get quite warm, it’s not uncommon for residents to run their AC more often than not. But, when you’re not at home, your HVAC system shouldn’t be running at full speed. This only wastes energy and costs you more money in electrical costs. To better manage your home’s temperature, invest in a smart thermostat. These devices allow you to set temperature schedules. For example, you can set it to be 70 degrees after 9 PM (bedtime) and 72 degrees at 7 AM (when you leave for work). At 3 PM, you can set the temperature back to 68 degrees. You’ll even find thermostats that can be controlled using a mobile or web app. This is super convenient for when you’re on vacation or a business trip but want to be able to control your home. Don’t let high utility bills keep you from enjoying life in Los Angeles. Using these tips you can minimize your utility bill, allowing you to stretch your dollars as much as possible.